I've had a lot of ups and downs about the five straight days without work. Downs because of the unfortunate kababayans that had to evacuate their homes to evacuation centers, those who totally lost their homes and those who had far worse mishaps than just losing their belongings, but their loved ones. Typhoon Maring stayed in our territories for quite a while. Though milder compared to Ondoy, it's still a disaster to some parts of Luzon. All we could do was pray for everyone, stay safe ourselves by staying home and make the most of our time at home together. 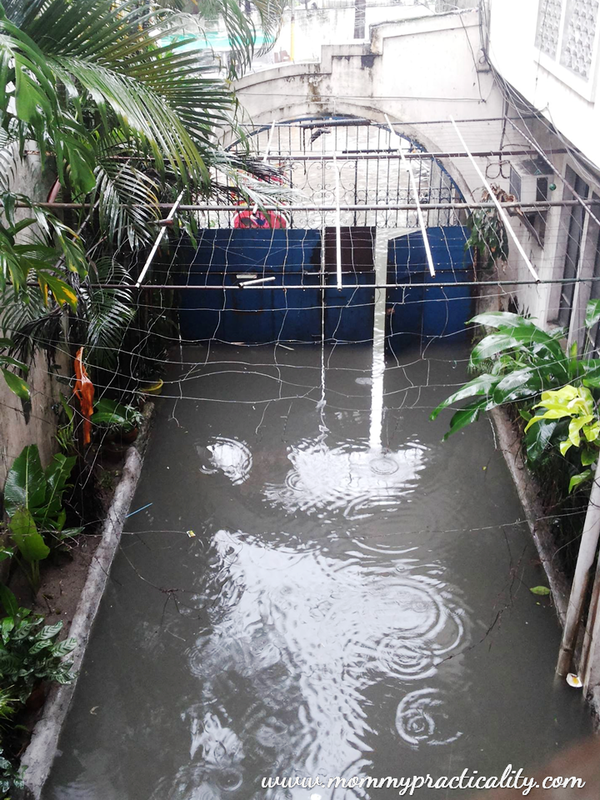 The flood was an unwelcome guest in our home for the last two days, as well as the emergency budget alloted to instant house re-construction to prevent the flood from coming in. Kayo ba binaha din muthers? Our flooded driveway. View from the 2nd floor of our house. Bond with kids. Singing. Dancing. Playing. Wake up later than usual. So how about you muthers? What were you busy with during the typhoon Maring days? Ang cute sis :) I love the video. Thanks sis! Madami pa yan eh! Ang hilig kasi kumanta ng batang yan! Sis were you able to receive my message pala regarding your Human Nature reg?